This information has been public for over a month now but I thought I would condense it all here and make it easy for people to follow. Basically in mid-June Japan’s legislature passed a new law making it mandatory for all “foreigners” living in Japan to have the National Health Insurance. 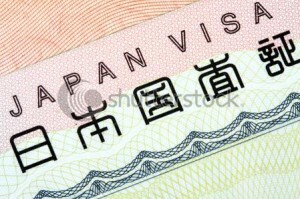 Come April 2010, if you aren’t part of the National Health Insurance system you WILL NOT have your Visa renewed. No matter how much this stinks, at this juncture, there is no way around this. This is a new Japanese law which takes precedence over all previous laws. So, if you are a foreigner living in Japan what should you do?? My advice is to go to your local Ward office and sign-up for the Natl. Health Insurance ASAP. The reason you should do this quickly is a little complicated but just try to follow me here. 1. Japanese law has always said that Foreigners were required to have Natl. Health Insurance – no exceptions, no matter what you may have heard from your various employers over the years. 2. Because of No. 1, it means that you were actually required to join the Natl. Health Insurance when you first came to Japan. For most of us who were on Visas sponsored by our employers this meant that our employer was responsible for signing us up for both the Pension and the Health Insurance (in this case it is called the Employee’s Natl. Health Insurance) within 4 days of beginning our employment. Let me guess … your employer told you that since you weren’t Japanese you didn’t qualify for either the pension or the health and advised you to buy private health insurance. For those of us who were going to be self-employed (very few I’m sure) it meant that the day you got your Gaijin card you were also supposed to stop at the Health Insurance section of your Ward office and sign-up for National Health Insurance. 3. The Ward office is legally entitled to charge you for up to 2 years of back-due health insurance payments. That’s right, up to 2 years back even though you weren’t part of the system. I can see the sense in making Foreigners have to pay the monthly premiums starting from now, but this system of back-charging the payments for 2 years seems illogical and arbitrary. So, this means that when you go sign-up for the health insurance (which you will do if you want to have your visa renewed) the Ward official is going to tell you that not only do you have to pay going forward but you also have to pay for the last 2 years of “missed” monthly premium payments. What this amounts to is that to clear this mess up you are probably looking at paying somewhere close to 550,000 yen … if you’re lucky you’ll get a decent Ward official who will let you have an installment plan. Below is the text of the original article that broke the story in the Japan Times. Surrounded by giant protest signs, leaflets and a Che Guevara poster, a quiet anxiety hung in the room as participants listened to the seminar. A handful of attendees were young, but most were middle-aged or approaching retirement age. Many had been working in Japan for years and had never been told anything about insurance, while others were aware of the program but had been dissuaded by their employers from joining it. When insurance becomes a requirement for visa renewal next year, those who are not currently enrolled may be obliged to pay for fees that should have been deducted from their salaries had they been properly enrolled by their companies. While the government can only bill employers and employees up to the past two years, it’s a sizable sum of money that many people may not have readily available. Mercifully, local ward offices (kuyakusho) generally allow new enrollees to pay in installments, but their employers may not be so lucky if they are found to have knowingly broken the law by failing to enroll staff in national insurance. If employers in Japan are obliged to register all employees in shakai hoken, why have so many foreigners been left out? The chief reason is cost: Carlet explained that companies are required to cover at least 50 percent of their employees’ pension and health insurance premiums, which works out to roughly a tenth of the monthly salary. That’s about ¥30,000 monthly for every worker earning a salary of ¥250,000 — a huge sum of money that can threaten the very survival of a business. “Billions of yen are at stake for the companies,” stressed Carlet, noting that foreigners are often offered higher wages than their Japanese counterparts to make up for the fact that have to pay for their own private insurance. Apart from the sizable dent it makes on the average paycheck, there are a number of reasons why shakai hoken can seem unappealing for foreigners. For starters there’s the pension: Even though foreigners are required to pay into the system, they won’t actually get the money back until they have paid in for at least 25 years. Those who don’t spend a quarter of a century diligently paying pension fees in Japan can use a kara kikan (empty period) option that allows workers to count years spent working abroad, but only provided that they get permanent residency in Japan before turning 65. But how about if you have contributed money into the pension scheme for more than 10 years? “The maximum (payout) is still three years.” Azuma adds that you would also have to file your application within two years of leaving Japan. As for health insurance, some foreign workers find little comfort in the fact that shakai hoken covers most of their medical costs, because some well-known English-speaking clinics don’t accept Japanese insurance anyway. For example, at the Hiroo International Clinic based in Minami-Azabu, one of Tokyo’s most diverse neighborhoods, patients can receive medical services in impeccable English, but none of the costs would be covered by Japanese insurance. “You would have to pay the full cost upfront,” explains Dr. Isao Tsutsumi, adding that his clinic doesn’t accept Japanese insurance because it would oblige him to see Japanese patients and lead to reduced time for individual patients. It’s not clear why these changes are occurring now. When pressed for an explanation, a representative of the Ministry of Justice (who declined to give her name) replied that it was merely carrying out the Cabinet’s three-year plan for regulatory reform. Regardless of how people feel about the national health insurance system, the fact is that enrollment is mandatory for residents of Japan, and the new visa requirement merely draws attention to this. Carlet finds it “bizarre” that some firms claim their foreign workers wanted to be left off the pension and insurance schemes; it’s the law, he says, and employees can “opt out” of it no more than Warren Buffett can “opt out” of paying income tax. Unfortunately, many companies get away with hiring foreigners without enrolling them in pension and insurance plans because the SIA tends not to crack down on employers with uninsured workers unless certain standards are violated. For example, companies legally have to enroll part-timers if they have been working for the firm more than two months, but the SIA doesn’t necessarily investigate unless an employee is working three-quarters of the hours of a full-time employee (30 hours in most cases). Some language schools get around this by counting only the lesson hours of their employees (28 hours per week maximum) and ignoring their preparation time, while others like Gaba Corp. claim their instructors are subcontractors, who are not eligible for benefits, rather than actual employees. It’s a lot like driving on a road with an 80-kph limit: It’s illegal to drive 85 kph, but police will only crack down on those going 90 and over, leading many employers to break the law with impunity. Whether intended or not, one consequence of forcing non-Japanese residents to become fully paid-up members of society with access to Japan’s social safety net may be that more foreigners feel they have a stake in staying on and making Japan their permanent home. While it may result in administrative nightmares, the new visa requirements could lead to shifting dynamics between foreigners and their Japanese employers. No longer can these workers be viewed as shifty, temporary staff existing separately from their Japanese colleagues in a legal twilight zone of Japanese labor practices. Previous Topic: Chapter Four – in which … oh heck, just check this out.